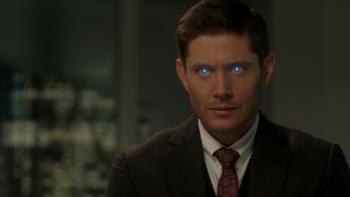 Angel Eyes are the eyes of an Angel. 2 11.09 O Brother Where Art Thou? 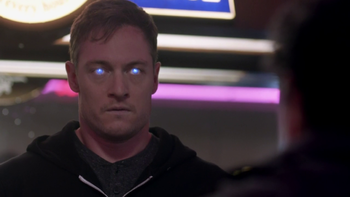 Gadreel shows his eyes upon returning to his first vessel. 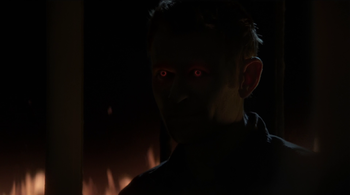 Lucifer shows his eyes during his return. 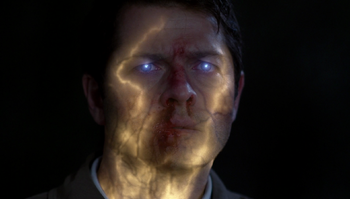 Castiel shows his eyes while being empowered by Lucifer's unborn son. Michael menacingly shows his eyes. This page was last edited on 5 March 2019, at 00:54.